Colorful Edibles! 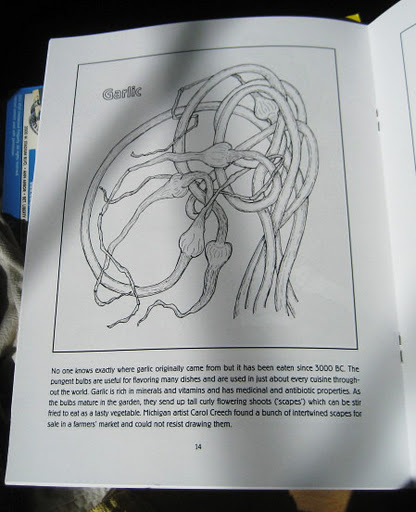 A new coloring book by the ASBA. Hot off the Press! 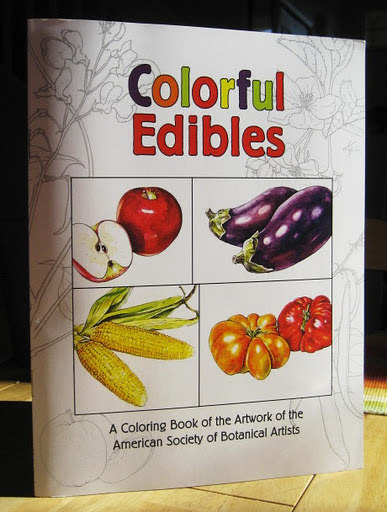 The American Society of Botanical Artists (ASBA) has published a wonderful new coloring book, Colorful Edibles. 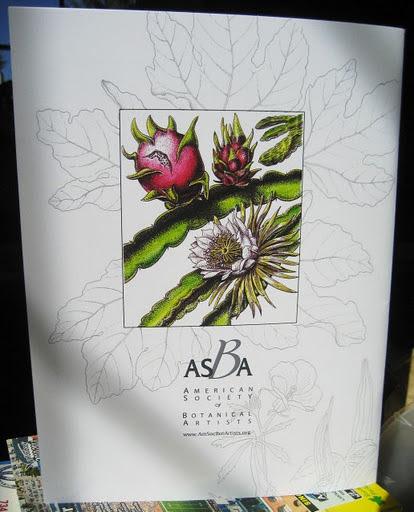 It features 28 pages of delicious line drawings by 26 ASBA members selected from nearly 80 submissions. I am excited to say that two of my drawings have been included! 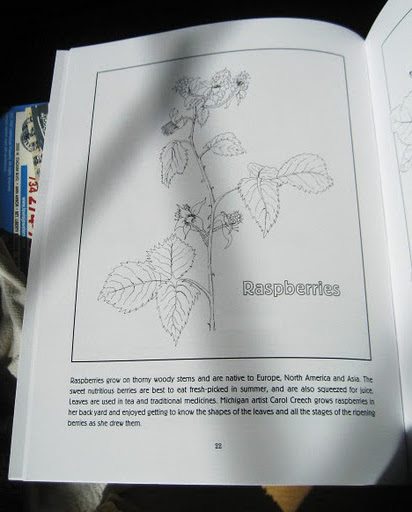 You can find my garlic scapes on p. 14 and my raspberry plant on p. 22. Previous Double Wrap Bracelet in Blue!